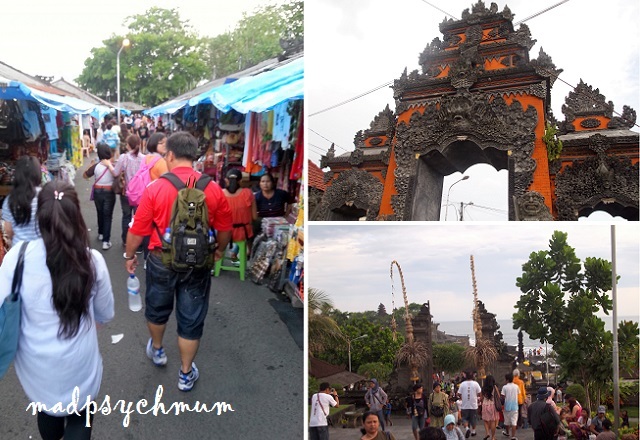 We booked our hotel's car and driver for a day (approximately S$60-70) to tour the other parts of Bali. As we had a young child with us, the hubby ensured that our route was not too far away from Semiyak otherwise all of us could not have endured it. 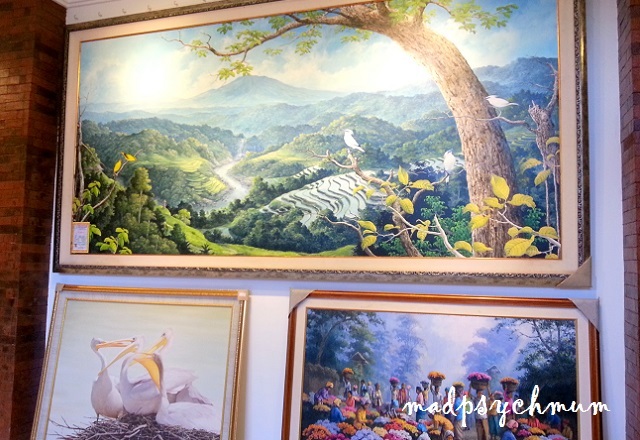 So for our first stop, we went to Ubud and stopped by a batik factory, a jewellery factory and an art gallery, three things that Bali is famous for. 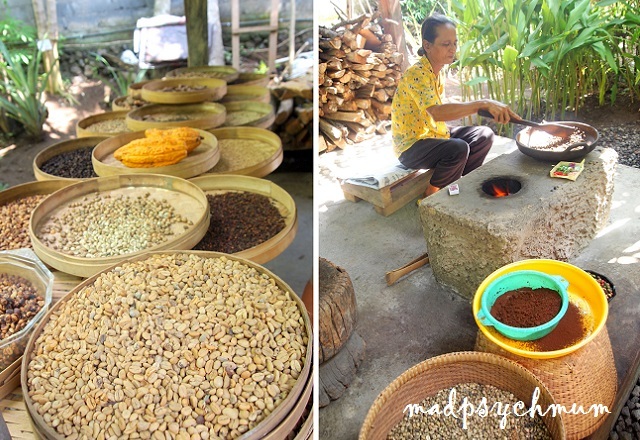 Bali is also famous for their Kopi Luwak (coffee from Civets and also the most expensive coffee in the world) so how can we not visit a coffee & tea farm? 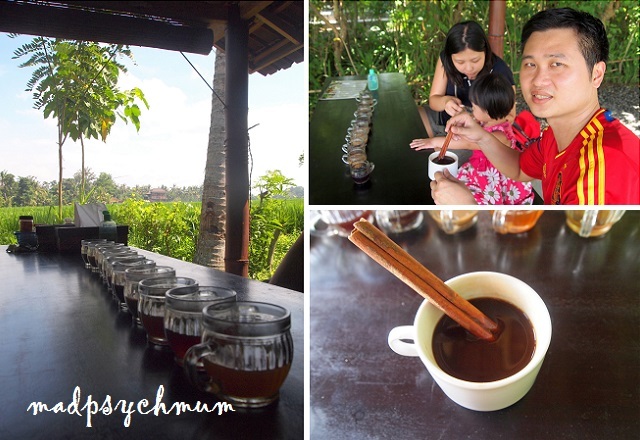 Right: Hubby excited to try Kopi Luwak for the 1st time! 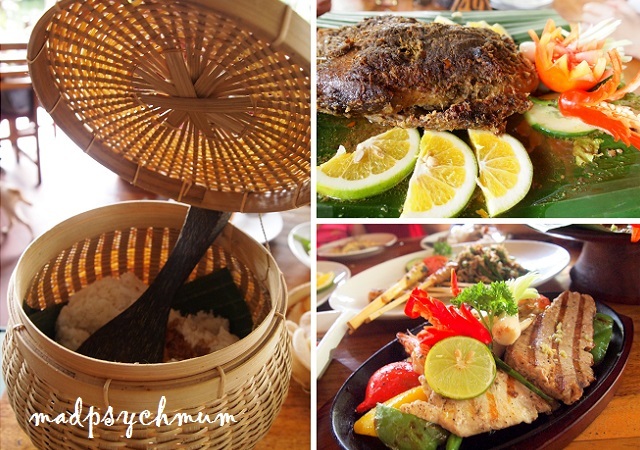 The food tasted as good as we heard! Although we did prefer the marinated dirty duck better than the crispy dirty duck as it was softer and more flavourful. Yum! After a fulfilling lunch, we all slept in the car as it was another 1-1.5 hours as we headed to Tanah Lot. After shopping for a bit, we followed the crowd to the coast where we took some pictures of the beautiful scenery. We wanted to stay till dusk to see the sunset but we figured that we didn't want to return to our villa too late so we ended up spending more time shopping around at the stalls instead! I guess it is really different when you're travelling with 一老一小 (literal translation: one old & one young) as we were all exhausted by dinner time. We were supposed to travel a distance to a famous restaurant where you can dine and watch the sunset by the beach but we decided against it as we were simply too tired to travel. 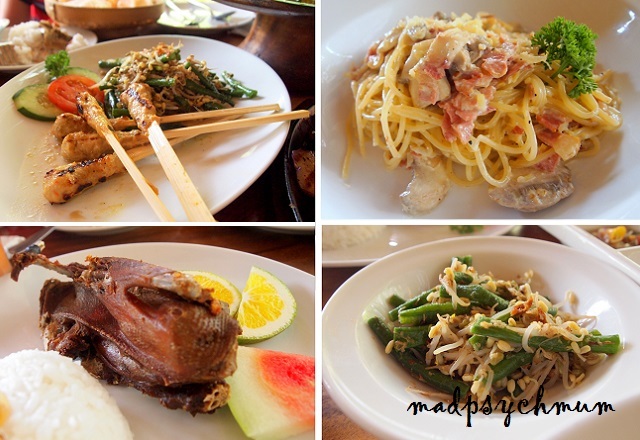 We ended up eating at a restaurant near our villa but we didn't mind really because we could rest and enjoy each other's company.